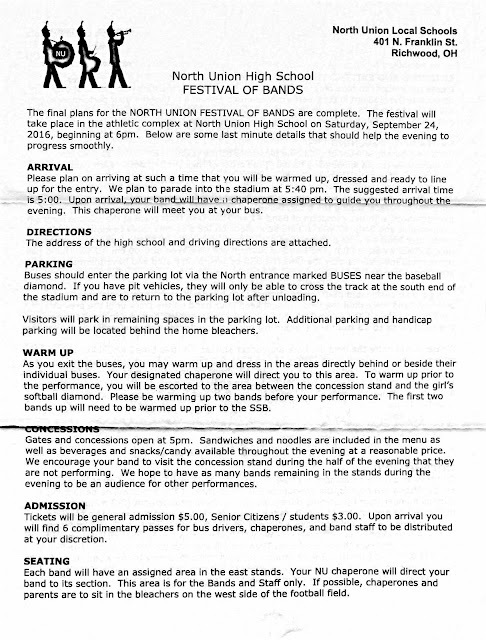 Here are some details from North Union on their festival on September 24. Be sure to see the sections on parking, admission, concessions, and tshirts. 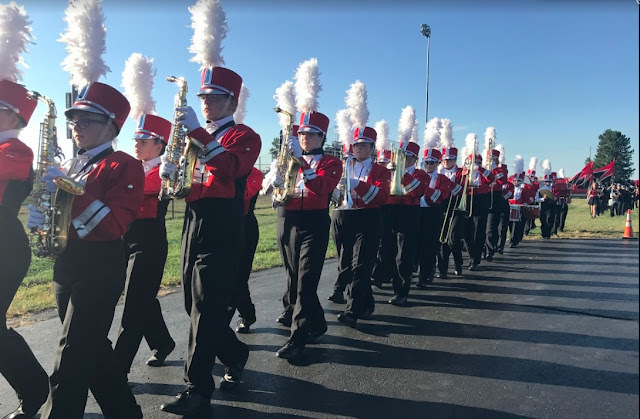 The march-in starts at 5:40 and the first band is on at 6pm. 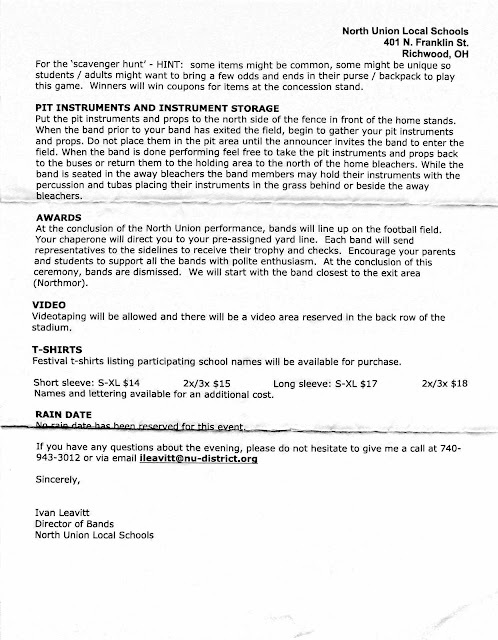 There's also info in here for pit/set crew members. Click to enlarge.